`GLC is a banquet, eat all you can!` This is the advice that a new entrant hears on entering the portals of this 160 year old relic. But it ain`t an ordinary banquet where there is free flowing sumptuous food- instead it is a paradigm that depends on the choices of each entrant: the choice to seat oneself at the banqueting table while enduring it`s partially restored and rickety condition and the choice of food while balancing the exquisite and limited resources and thirst for nourishment. At the end, his failure or lap of luxury too remains a matter of his perception. And the banquet would still continue to serve. GLC may be widely criticised for the poor attendance, appalling infrastructure and unskilled teaching faculty but, above all one cannot overlook the fact that it has retained its glory throughout-and survived at a certain point of time even without a principal!! Poor attendance is justified when one finds the students engaged elsewhere as interns. When it comes to infrastructure, one will agree that the students crave for it and hence the college has been working towards revamping this depleting heritage in toto which can be visualised in the Annexure building that is under construction with the generous support of our alumni. Teaching faculty is scarce and raw because the college is not puffed with funds to pay them extravagantly. But because of some of our passionate and vibrant alumni like Prof. H. D. Pithawalla, Prof. Daswani etc have played a pivotal role in reforming this persistent flaw which hinders boundless learning. There are rounds of guest lectures by eminent lawyers, alumni and professors, the prominent ones being the M. C. Chagla memorial lecture series and the B. R. Ambedkar memorial lectures series. The institution holds a prestigious distinction of being the oldest law college in Asia, an institution which has contributed substantially to all three organs of the Ordinatio namely legislature, executive and judiciary and also the fourth organ of the govt i.e. Mass-Media. Being a government- institution, there are certain boundaries that constrain the college thereby impeding it`s growth to a certain extent. There is a paucity of staff, skilled teachers, regular maintenance, funds etc. But that does not deter the zeal of the overly passionate, bold and active pupils who are on their toes in organising a plethora of resplendent national and international events. GLC Mumbai also provides you with the BLS degree i.e. Bachelor of Legal Science which actually makes you eligible to work as a Para-Legal and Para-Professional at the end of 3 years in the college. Enticing, isn`t it? WE RUN THE COLLEGE!! We don`t always only Glorior about our Alma Mater but also make efforts to revive the past glory of this majestic institution. Running around Fort, Lower Parel, Bandra (to name only a few) to accumulate funds through marketing, making PR calls, writing journals, mooting, running internships, undertaking stressful committee work, compering events, working as article clerks, being the cognoscenti in hospitality when it comes to organising the grand events and this list can go on and on and still end up with an `etc`. Do not be surprised if you find a student mending the power cut issues in the college!! Precisely, we are the Prodigies- be it in law or life skills. There are countless people getting PPOs while those who have signed as articled clerks (sometimes as early as in the third year of the five year programme) eventually end with a job in the same law firm! If one pays a visit to the Bombay High Court and the law firms , from the intern to the Partner almost everyone hails from GLC. Moreover, there are students who, even in the absence of sound research environment, have managed to receive Ivy League and Oxbridge degrees and are emerging in legal academics by graduating from Yale, Columbia, Harvard, Georgetown, Cornell, Oxford, NYU etc. The sole reason behind the` popular weltanschauung` about the reputation of the college is the skewed rankings which get published every now and then, where GLC being a governmental institution is not able to project itself flamboyantly. A college which has a token amount of Rs. 5/- for it`s admission form with an annual fees of Rs. 6000/- cannot possibly afford to fare well in such orchestrated `surveys`! Frankly, what I feel is the best part about GLC Mumbai is that you`ve got to spend a bare minimum for this 5 year long course, live in a way ambitious city like Mumbai- the place where all the` Nationals` need to come down for internships and thereafter be on par with any competitive and skilled National Law University Alumnus, professionally as well as financially! 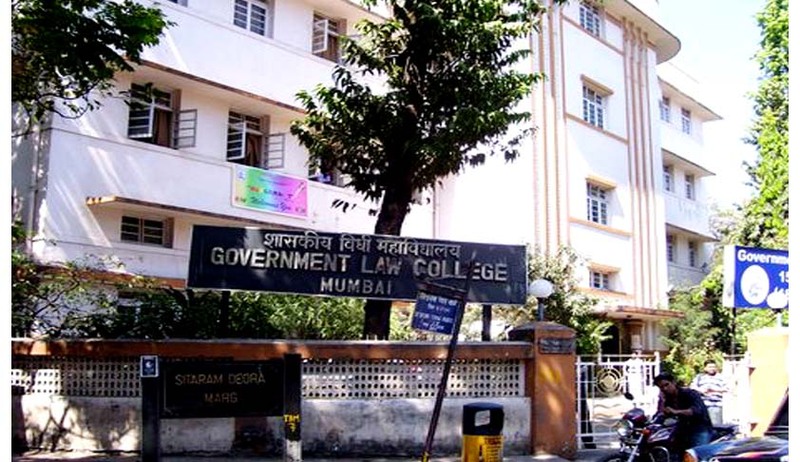 Akanksha Prakash is Student Reporter at Live Law studying at Government Law College, Mumbai.